This summer a couple streets in New York will look more Brazilian than usual. 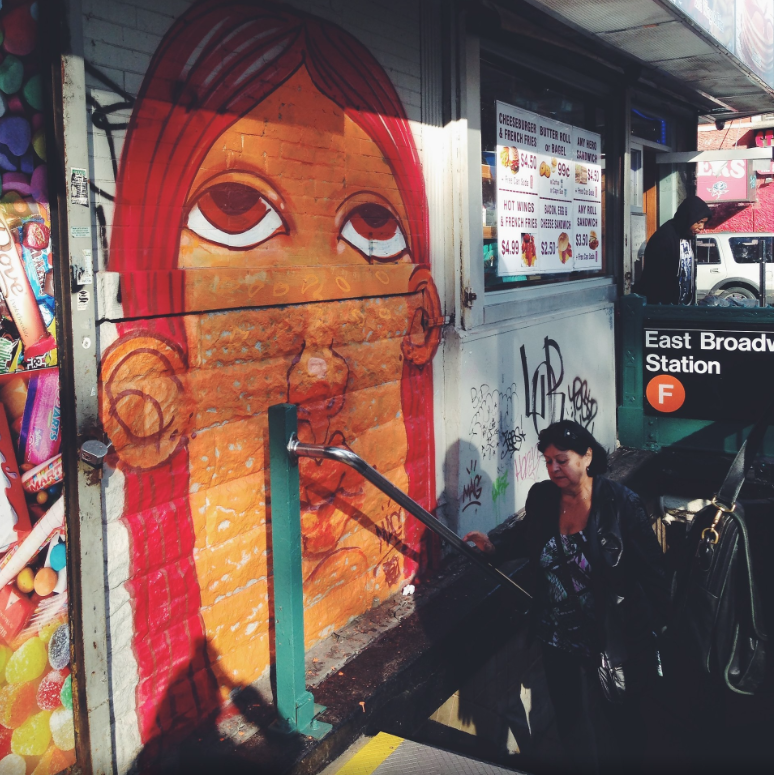 Mag Magrela, graffiti artist well known in São Paulo for her orange-colored women, is returning to New York and will paint murals in different neighborhoods. In addition, Mag will work in a studio in Brooklyn, which will be open to the public. 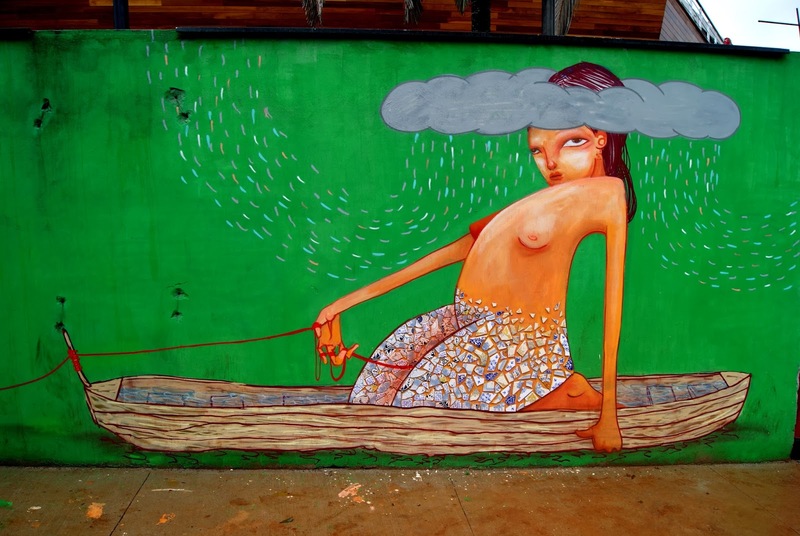 The artist will be launching her residency in the city at “Beija Flor” restaurant this Saturday, July 23rd , where she will paint the first mural. She named the studio “Pindorama in Flames” – “Pindorama” meaning “ the land of palm trees” in the indigenous Tupi language, an expression for the Brazilian territory before it was colonized by Portugal. The flames are a reference to the current crisis in Brazil, a theme that will permeate her work in the city, without losing hope and still exploring the dichotomies between the everyday conflicts and the utopian motifs she is known for. 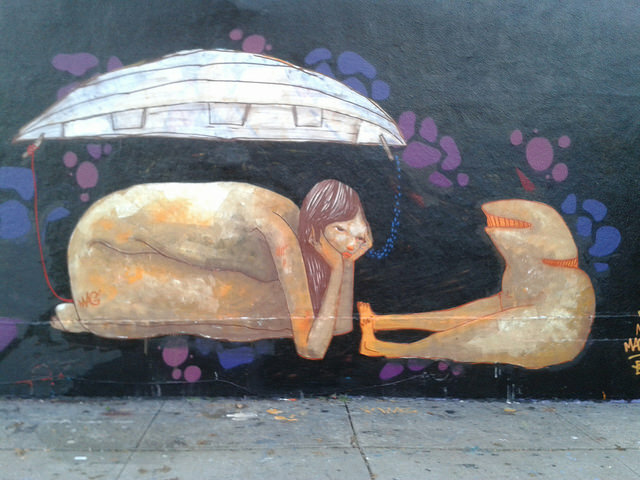 Mag was born in São Paulo in 1985 and grew up in “ Vila Madalena” an art driven neighborhood where the famous graffiti spot “Beco do Batman” is located. 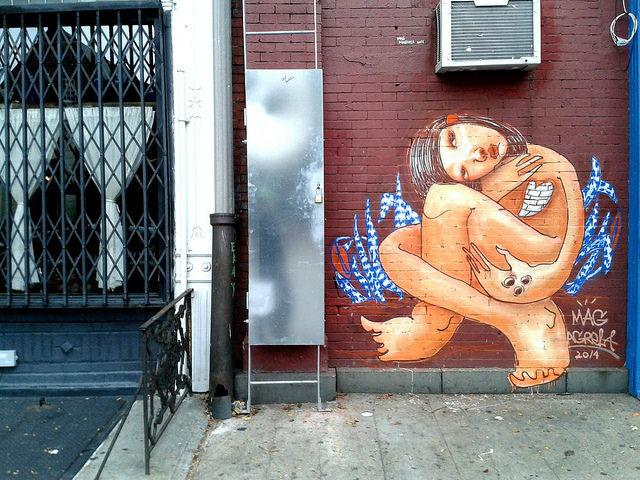 Her orange-skinned girls seem to be part of a unique, fantastic, universe, but are often seeking refuge on the walls, standing out among the urban landscapes they start to inhabit. Through these images of women and girls, Mag portrays the diversity of the Brazilian culture and the struggles of the daily life in Brazil and other global cities.